It actually kind of pains me to write this post. Making me sad, however - let's leave the sad stuff until after. As you all know I'm an oily skinned kinda gal, so as soon as a new matte foundation comes on the market I'm straight there - especially if it's a budget one. Enter Rimmel Stay Matte foundation. A hybrid of a moose and liquid, though leaning more towards mousse, this is a new type of foundation for me. Mousse foundations have scared me since the whole Dream Matte Mousse years of teenagedoom, but I was intrigued by this - and rightly so. I love how easy this is to apply, how nicely it applies and how soft it is. It blends in beautifully and has great medium coverage, perfect for the colder months. The shade I have is a little bit darker than needed probably but it's working at the moment with my tan left over from the sun. Overall, this is a really nice foundation. It keeps my skin nice and matte, the shine is at bay and I look like a slightly flawless person. Now is the sad bit... After about a week of loving this and swooning over it's brilliance and price, then came the spots. Major major turn off for me. I don't know what it is with me and Rimmel's foundations! I love them, they are lovely lovely foundations, but they always bring me out in spots and I don't know what it is. Having said that - I do still use this on the odd day that I need that little bit extra coverage or a velvety soft finish, it's just not one that I can use everyday. 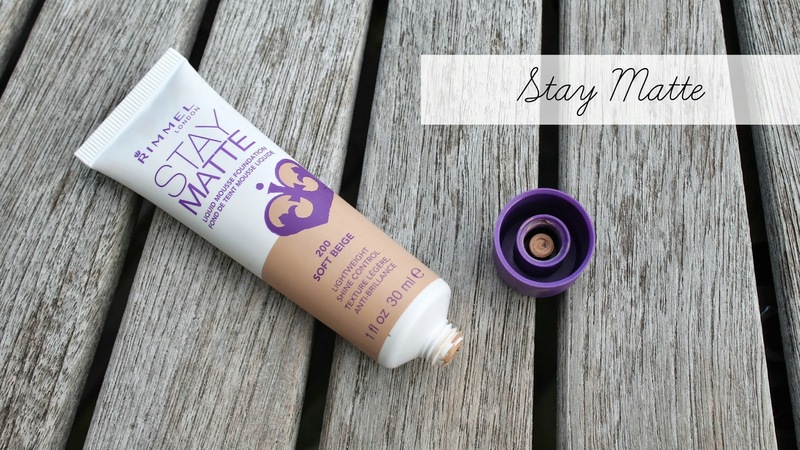 Have you tried Stay Matte foundation? Are you trying any mousse foundations? I have the same experience with Rimmel foundations, the wake me up irritated my skin so much that it caused my eyelids to swell up and I couldn't wear contacts for a month! I'm kinda glad I'm not alone in this, I guess.